In the 1990s Chaosium decided to put out a series of Cthulhu Mythos short story anthologies as an adjunct to the Call of Cthulhu RPG. To oversee the line they engaged the services of Robert M. Price, who at the time was prominent in Lovecraft fandom as the editor of Crypt of Cthulhu. The Price-edited entries in the series tended to fall into one of two categories; compilations of works by a particular prominent Mythos author (such as the Lin Carter, Robert Bloch and Henry Kuttner collections I’ve covered previously), and “Cycle” books. These latter tomes were based around the idea of choosing a particular Mythos entity or subject and collecting together the major stories that dealt with the concept in question, as well as stories which seemed to influence the original conception of the idea in question. In principle, this is actually a pretty good idea, because it would allow you to place Lovecraft’s stories in the context of the broader tradition they were a part of. The concept stumbled when Price took the approach of building these cycles around individual creatures and entities, rather than around broader themes. Rarely has a writer written so much and had so little of their work celebrated as Robert W. Chambers. Despite churning out a rather mighty bibliography, to my knowledge there isn’t any serious discussion of more than a fraction of his material, and that discussion is almost all focused on a single book. But to be fair, it’s a hell of a book. 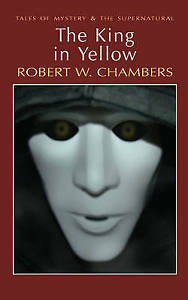 The King In Yellow was a collection of short stories, issued towards the very start of Chambers’ career. It had been preceded by In the Quarter, a novel about life among struggling artists in Paris which ended up marred by a detour into antisemitism. The King In Yellow mingled stories about American art students in Paris – presumably drawing on Chambers’ own experiences, and including cameos from characters from In the Quarter – with a much stranger set of stories, representing some of the finest supernatural horror to come out of the late 19th Century. 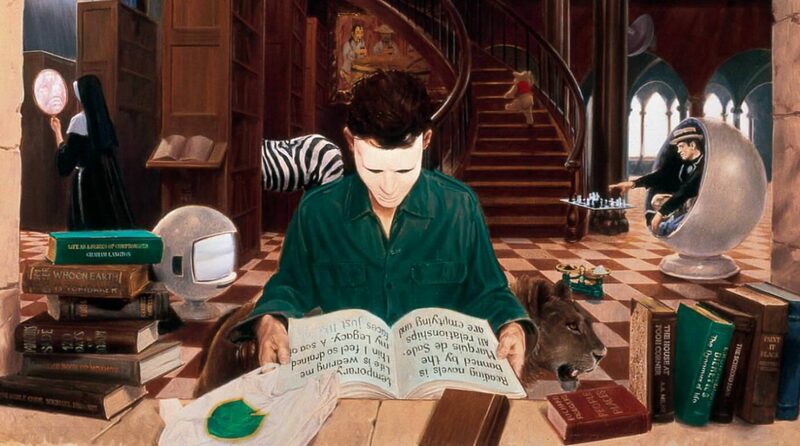 These stories seem to be thematically linked by a shared mythology, of the sort which H.P. Lovecraft would also utilise in his own work, built up more through allusion than through direct exposition. 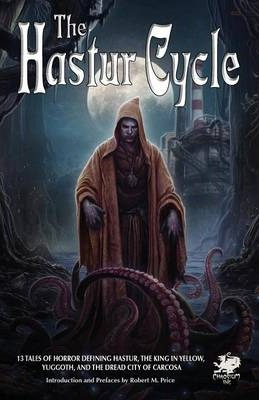 At the centre of this is a suppressed play, The King In Yellow, which alludes to such places, people and concepts as Hastur, Carcosa, the Hyades, Aldebaran, Cassilda, Camilla and the Lake of Hali. (Some of these names are borrowed from Ambrose Bierce). The exact relevance to all of this to the action is often obscure, but seems indicative of a supernatural, and possibly even alien or cosmic force at work behind the scenes – a technique repeated to an extent in True Detective’s use of these concepts.